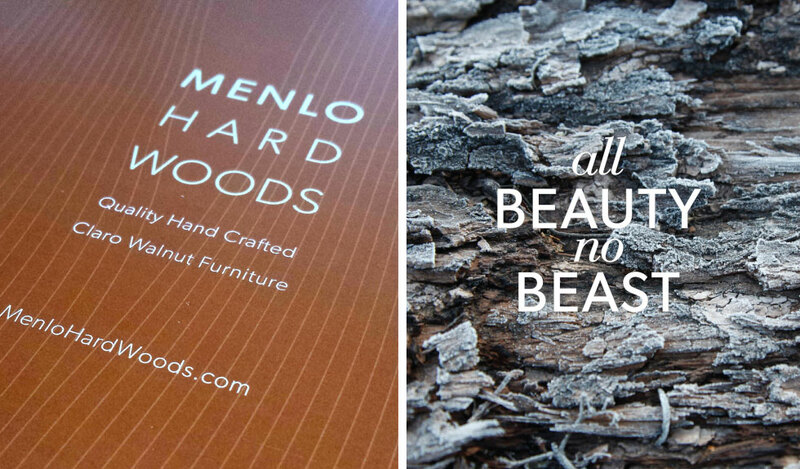 We just launched a whole new branding identity and fully responsive site for our new client Menlo Hardwoods. 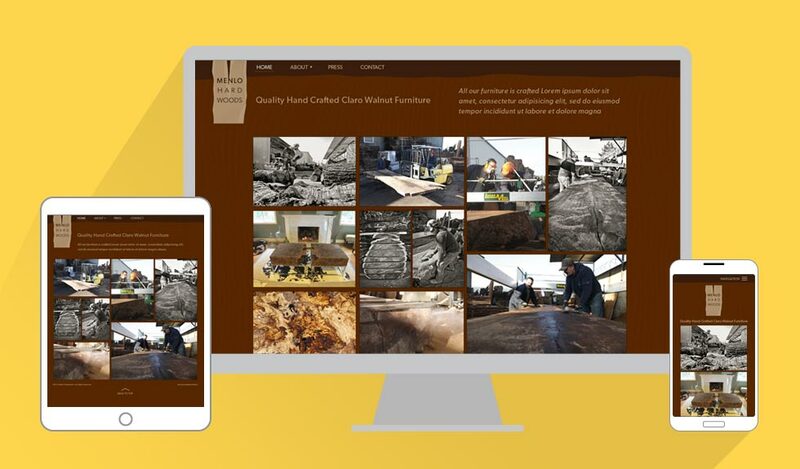 They are a high end furniture maker based out of Menlo Park, CA specializing in gorgeous high end furniture created from claimed rare Claro Walnut trees, native only to California. In the coming months, we will slowly implement their press section for mentions, more images for their fluid gallery and more content. We chose WordPress because of it’s flexibility and decided to develop a completely Responsive Design from the start. This means the site will be viewable on all devices and platforms. 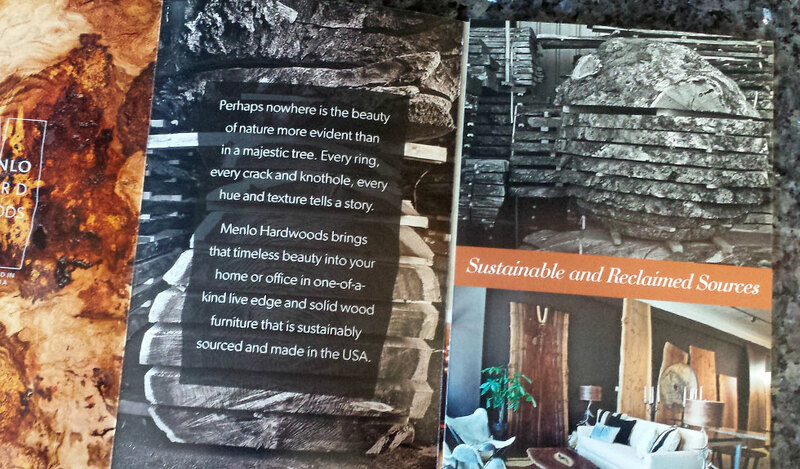 Menlo Hardwoods was a great client. They were a start up, so that naturally meant getting to work with a clean palette. There were no previous guidelines, colors, themes etc. to adhere to. 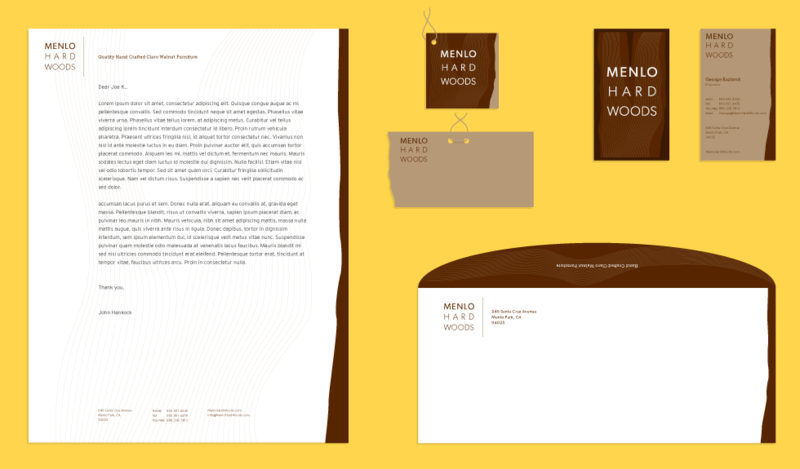 So when building a brand, we set out to design the “essentials” for the client. Here is a sample of the identity kit I provided for them, including the branded hang tags which were applied by hand to each custom piece. Any web project I start these days has to be sharp, clean and focused on it’s key audience. In addition to that experience I am building, I have to take into account, “where is this content going to be consumed?” This usually translates to creating a Responsive Web Site, which can be viewed and functional on desktops, tablets and mobile devices equally. A few months in to the business, and my client came calling with another marketing request. A leave behind for corporate and personal clients. 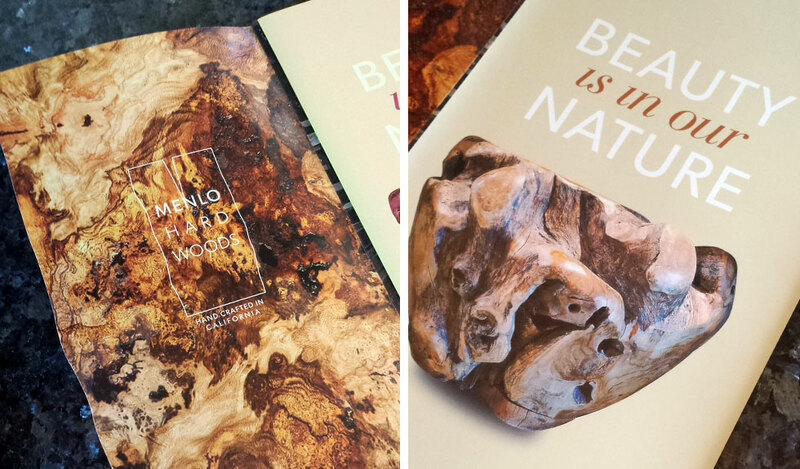 This piece needed to speak to the unique design and quality of Menlo Hardwoods furniture. I worked with my client to establish a voice for the piece and then directed my copywriter to fine tune the message. The final piece was a showstopper.